Getting your home’s comfort systems can be pretty daunting for some consumers. It is not as simple as entering a store and getting what you like based on what you see. Purchasing a high efficiency heating system requires a lot more than just looking through a selection of gadgets and choosing what appeals to you most. In fact, there are so many things to consider before you should finalize your purchase. If you are one of the many consumers that needs help in getting the right high efficiency heating system for your home, then all you need to do is read on to find out more about what you need to know about your heating system. One of the basic things you need to know when acquiring your home’s heating system is the efficiency rating of the equipment you are about to purchase. There is a standard set by the Department of Energy that serves as a guide. 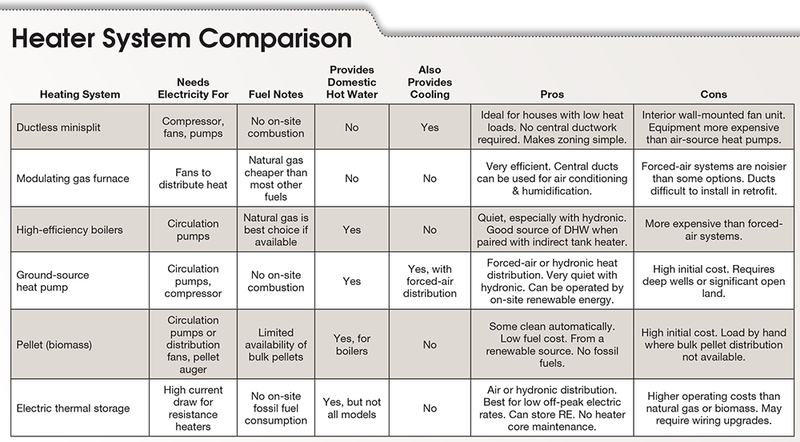 The efficiency rating of heating systems powered by natural gas is called Annual Fuel Utilization Efficiency or otherwise known as AFUE rating. AFUE is expressed in percentage and the higher the value of the AFUE, the more efficient the equipment is because it requires less energy to heat your home. When purchasing a home heating system, getting a unit that has a 94% efficiency means that your heating system is capable of producing 94 cents worth of heat for every single energy dollar. If you compare that with older models with 70% efficiency, that means you only get 70 cents worth of energy for every single dollar that you spend. Getting your money’s worth is something that you also have to take into consideration. How much savings can you make in a year when you use your heating system? While you may not have paid a lot on the initial purchase of the unit, you may actually be losing more from high utility bills and the like. Although it is true that high efficiency units cost more than the older models, the amount you spent on the initial purchase may be rewarded by minimal spending on energy bills. Purchasing a new heating system is considered to be a major investment. That being said, knowing details of the guarantees and warranties that go with the equipment is actually one of your responsibilities. High efficiency units generally have longer warranties because these are mainly the manufacturer’s top-of-the-line products, but you should still take the time to read through what is covered and what is not. When it comes to heating systems, just like the rest of your home’s comfort systems, size always matters. Just because your old heating unit was big does not necessarily mean you have to replace it with the same size. Sizing your home’s heating system is important and if you know little about how this is done, it is best to consult a qualified heating contractor to understand what size works for your home based on your heating needs. Having a high efficiency heating system is one thing. Getting a qualified heating contractor is another thing. Unless you are qualified to assess, choose, and do the installation of your heating system on your own, it is better to leave your valuable investment in the hands of a qualified heating contractor. Do your work and find out more about what your contractor is capable of, what his credentials are, and all the important details that you need to know to make sure that you employ the help of someone fully trained and knowledgeable on this area. When you find a qualified contractor, he can surely help you out from the selection process to installation and maintenance of your expensive investment. It is always important to take your time and do as much research as you can when purchasing a high efficiency heating system from a professional HVAC company such as Bulldog Heating & Cooling Milton. This allows you to make the right choices, save money, and make a wonderful investment that is worth all your effort and money.